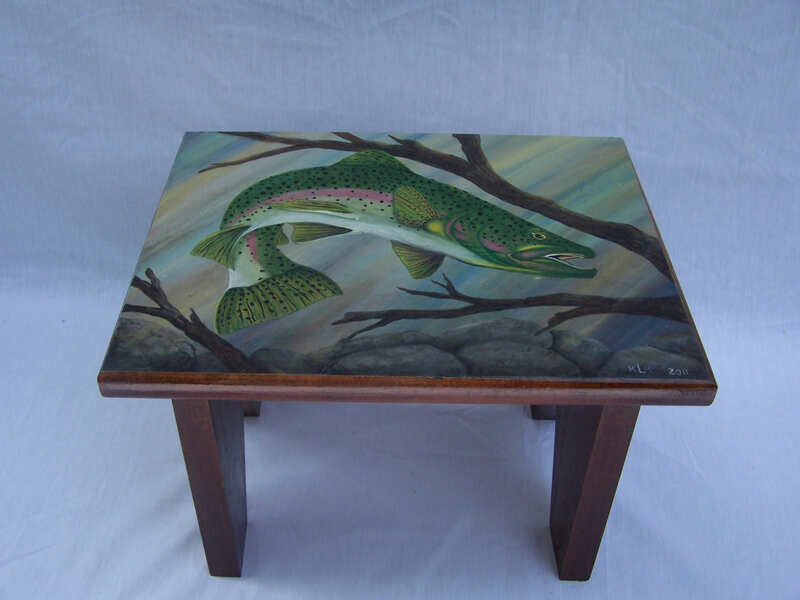 This Rainbow Trout painting is depicted on the seat of a short wooden stool. The stool is stained a dark walnut color and is 8.5″ high. 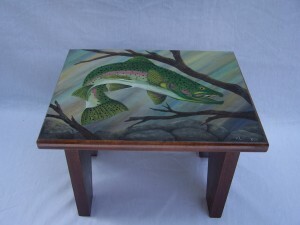 The painted surface is 11.5″ wide by 9″ high. Click here to return to our Rainbow Trout Gallery. This entry was posted in Stools. Bookmark the permalink.